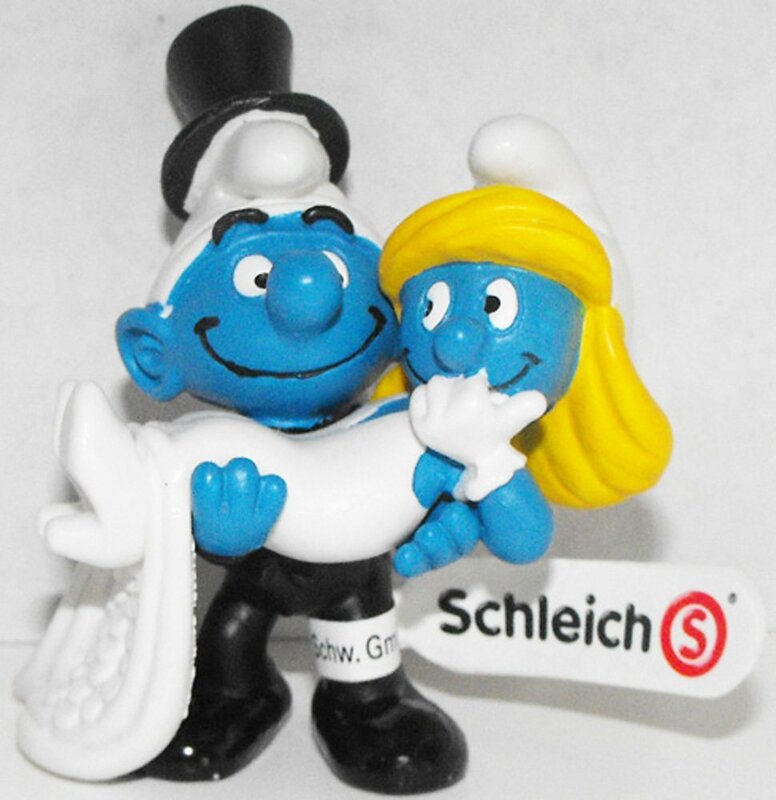 This Bride and Groom Smurf plastic miniature is about 2 inches tall. This item is only one piece (the two smurfs are together in one piece) This is from the collection of Smurfs distributed in 2013 as part of the Smurfy Greetings Collection. Made by Schleich.